Hammerschmidt was in the practice of producing stencil saxophones for other companies. The pages in the links below are dedicated to the stencils that I have come across. 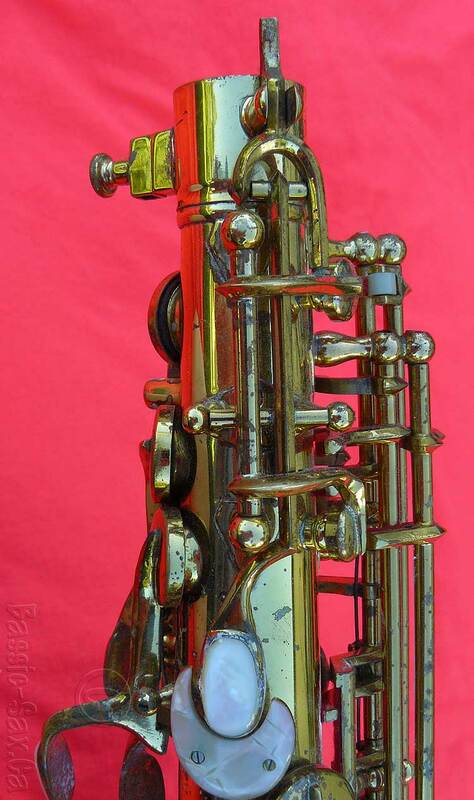 If you have a Hammerschmidt stencil sax with a different name, or know of one, please get in touch with me. Photos would be great too! Because the of the size of the various vintage saxophone galleries on my site—and the lack of their searchability—I have created a separate area of my site called Bassic Sax Pix. Bassic Sax Pix allows you to find what you’re looking for quickly and easily. I have therefore stopped updating the individual Hammerschmidt and Hammerschmidt Stencil galleries here, and have copied all of the information already contained in these galleries over to the Hammerschmidt galleries at Bassic Sax Pix. New Hammerschmidt and Hammerschmidt stencil horn images continue to be added regularly to the galleries at Bassic Sax Pix. If you are looking for photos of Hammerschmidt stencil horns, I recommend you jump to the bigger, and more searchable galleries. Fear not however, I will continue to add more stencil names to this list as I find them. They will just link to the new galleries.